Add some tonal texture to your home with the Grey Fox Fur 47x59 Blanket by Cambridge Home. This throw blanket combines soft faux fur with pale and charcoal greys for a natural look. Add some tonal texture to your home with the Grey Fox Fur 47x59 Blanket by Cambridge Home. 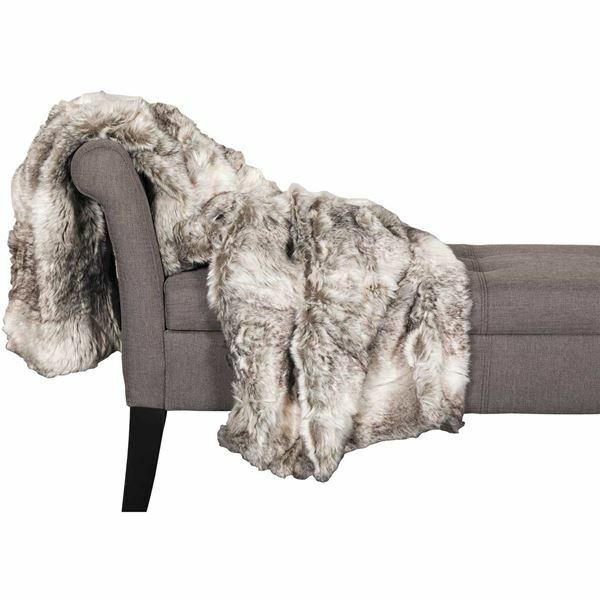 Grey Fox Fur 47x59 Blanket by Cambridge Home. This throw blanket combines soft faux fur with pale and charcoal greys.